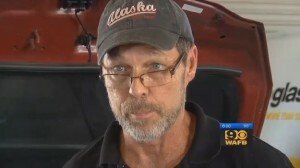 Louisiana television station WAFB on Wednesday became one of the latest networks to warn consumers that their policies indicate the insurers won’t always use new parts in collision repairs. This time, the story focused on a 2014 Kia Sedona minivan — last model year! — which needed a condensor, radiator and bumper after the owner rear-ended another vehicle, according to WAFB’s article and video posted Wednesday. The repairer also raised the question of the minivan’s warranty being affected by non-OEM parts, WAFB points out the distinction that Kia can’t void the warranty, but it can deny it citing damage from the parts. The story also references Republican Louisiana Attorney General Buddy Caldwell’s lawsuit against State Farm, part of the multidistrict litigation being heard in Florida. Not much has happened with that case this year based on our look at the docket, but other related private-sector Louisiana lawsuits were in May amended with more detailed allegations, including poor customer service and blatant steering.